Lonial currently serves as Winship's chief medical officer and as professor of hematology and medical oncology. He previously held the position of department executive vice chair. Lonial assumes this role vacated by Fadlo R. Khuri, MD, who became president of American University of Beirut. 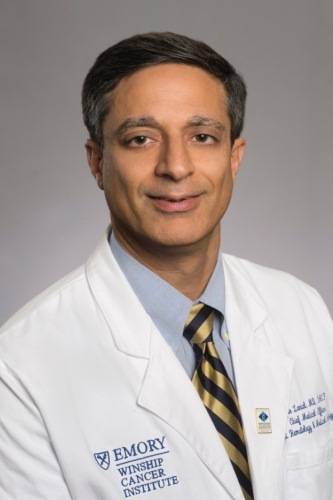 "We are very excited that Sagar Lonial will take the helm of the largest oncology-related department at Emory," says Walter J. Curran, Jr., MD, Winship's executive director. "By assuming this leadership position, he will play a key role in attracting and mentoring the best and brightest faculty within the department and Winship." A native of Louisville, Ky., Lonial first worked in oncology during his undergraduate days at Johns Hopkins University in Baltimore, Md. He earned his medical degree from the University of Louisville School of Medicine. He completed his internship and residency at Baylor College of Medicine in Houston, Texas, followed by a fellowship in hematology and oncology at Emory's School of Medicine.